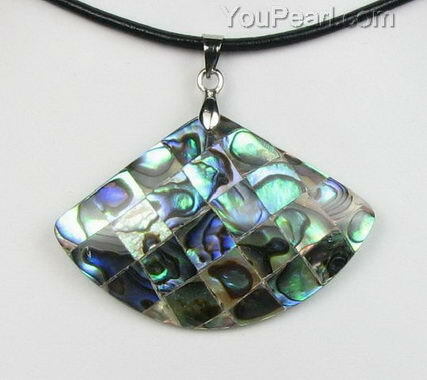 The pendant is one-side laminated with abalone shell. The price does not include a leather cord chain. But you can choose 16, 18 or 20 inches leather cord chain with sterling silver lobster claw clasp from chain option box below.